GO Hope | To care for orphans by educating and mobilizing the Church . ~ To care for orphans by educating and mobilizing the Church . Please consider helping foster families in Florida. Currently, there are several dozen foster families living in temporary housing and tent cities as a result of Hurricane Michael. Florida’s foster parent association is asking for letters and cards, handwritten, that encourage these families and their children to keep going and not be discouraged while they navigate this weather-related devastation. This may be a great way to create teachable moments of empathy and support in your home. A regular must read to add to your blog feed. 1.The Hope Resource Closet has been displaced. While we had hoped to have a permanent location for our closet, God has other plans for us. All items that have so generously been donated to help provide relief and comfort to families in need (whether it was Safe Families, Foster Care, or family tragedies) has been re-allocated to fill current urgent needs. We have partners that were able to put almost all of the donations to immediate use. There are still a few boxes of misc clothes and toys that need a home. We will be sending those over to Grace Centers of Hope unless someone can share a more urgent need for them. We hope to be able to find another location very soon but are thankful that all of the items were able to be used and not continue to sit in storage. 2. We will continue to collect NEW items for our grab n go bags for children newly entering the foster care system. Shannon Berger has been able to dedicate some space in her home to collect items to fill bags. You can still drop donations off to the drop-box or contact Shannon to make other arrangements. While the Resource Closet is currently closed, the drop box will remain in place until the Pfeiffer family moves. We continue to be over-whelmed by the love and support that this community pours out to care for the orphans! We may not be posting as often as we would like… but GO Hope has been busy! 1) To have 100 or more Grab n Go bags given to local foster care agencies to be provided to children (newborn through teenagers) as they enter the foster care system. The goal of these bags is to provide the child (and foster parent) with enough clothing and toiletries to get them through their first couple days. We also include other things such as a blanket, stuffed animal, school supplies, Bible and a toy. It is not unusual for these bags to be especially meaningful to the child as they make their way through the foster care system. We would love for you to join us in providing these bags. For more information, please email Shannon at shannon@givingorphanshope.org. It was the winter of 2007 when I saw a video by Family Life that was about starting an orphan ministry in your church. I was quite inspired because I had been aware of the huge need of orphans in our world. My husband and I adopted a daughter from Haiti and had our eyes opened to the overwhelming number of orphans not only in the United States, but all over the world. Because of that I was compelled to try to get something started with a few people from Kensington Community Church. I knew that people would respond and reach out to orphans if someone would make them aware. So, it was in February of 2008 when a small group of people with a heart for orphans met to embark on this journey of hope. God has been providing and opening doors ever since. Giving Orphans Hope (GO Hope) is an organization looking to serve the orphans of the world, beginning with those in our metro-Detroit backyard. We’re starting small because we are small. But we’re convinced that the God who loves these kids more than we can imagine also has bigger plans for this cause than we can imagine. So as we grow, little by little, we’re embracing every chance we get to share the stories of these children and to involve people in the effort to bring them hope. We’re eager to partner with local agencies, churches and organizations that support our work. We want to see the Church mobilized to meet the needs of the 143 million orphans of the world. And through awareness initiatives, educational events, service projects, fundraisers, forums and shared experiences with foster care and adoption, we will bring hope to the orphans … little by little. GO Hope is an independent volunteer organization based in Oakland County, Michigan. We are on the move, spreading stories of need, love and hope. And we would love for you to join us! There is still time to join us for THE conference of the year! It will change you! This video will have you in tears. A young Chinese mother keeps a shocking secret. 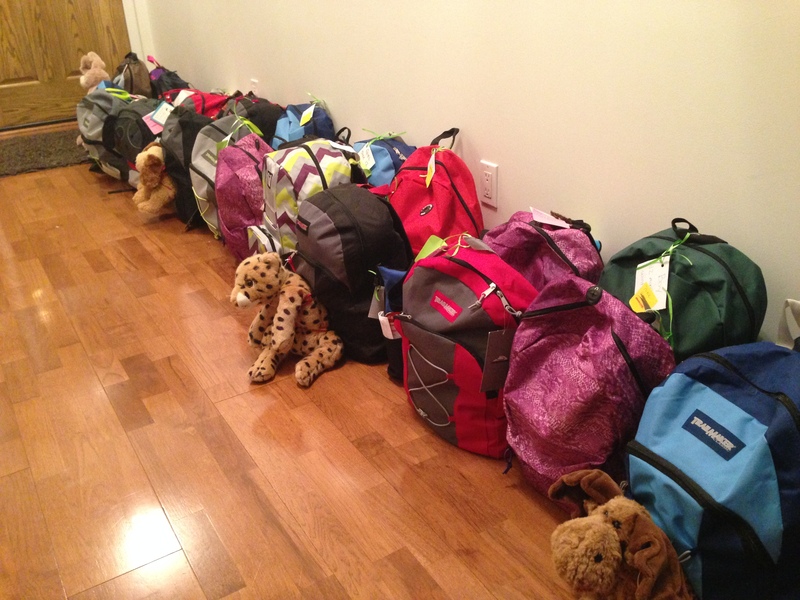 Recently the students at The Link School of Arts completed TEN bags for children entering the foster care system. They are living out James 1:27. It’s wonderful to see their hearts for our mission at such a tender age. Visit their Facebook page linked here for pictures of the evening. We’re a small organization doing big things for orphans, and we’d love for you to join us. Check out the latest events below to find out how you can volunteer. CLICK HERE to buy items from Amazon.com through our site and we’ll automatically receive a percentage of your purchase. After clicking on the link you will be taken to the Amazon.com website. From there, anything you purchase will automatically benefit GO Hope. GO Hope offers special educational events every other month to help you tackle the tough issues related to foster care and adoption. These events are open to all, regardless of whether you are already in the process of fostering/adopting or just want to learn more. For those already in the process, our educational events often count toward required training hours, so be sure to check with your case worker. For more information, contact us at info@givingorphanshope.org. Join a small group offered through Giving Orphans Hope, OR sign up for a mentor connection where we pair couples who have fostered or adopted with singles/couples who want to take that step.